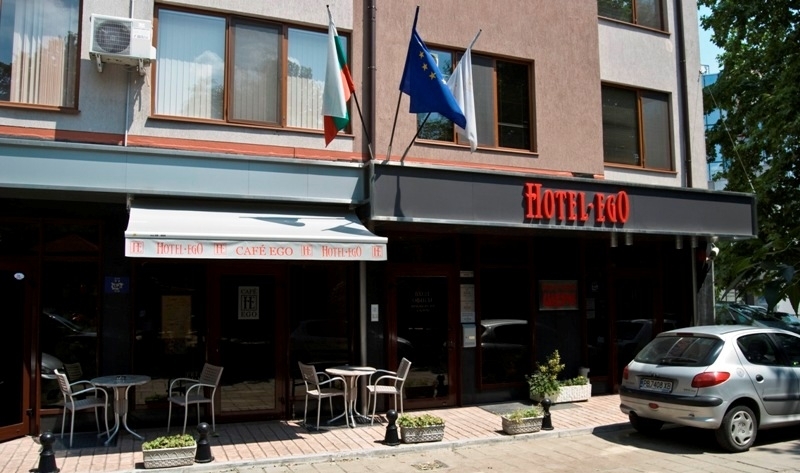 Location: Hotel Ego is conveniently situated within 5 minute walking to the old town. The International Plovdiv Fair is only 15 minutes walking or 5 minutes by car. The hotel is protected from the street noise by a small park with old trees. Accommodation: the hotel offers double rooms with separate or double beds, 2 apartments and double rooms for single use. All rooms are air-conditioned and have have spacious bathrooms, with shower cabins, hair dryer, mini bar, flat screen TV with full satalife program list. There is a small kitchen in some of larger rooms. All areas are covered by WiFi. Food: lobby bar which offers alcoholic and non-alcoholic drinks, sandwiches, snaks. In the hotel: underground parking, dry cleaning, laundry, room service, office assistance, safe keeping at reception. Conference hall “Ego” for up to 40 people.